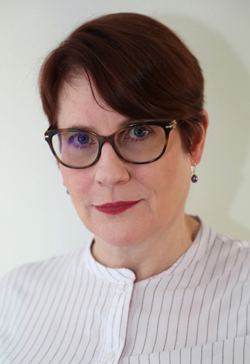 After practising in criminal law, Margaret became a professional writer, working as a screenwriter and script editor in television for many well-regarded Australian drama series (Water Rats/A Country Practice/GP). Margaret’s short fiction, reviews and journalism has been published in Meanjin and Going Down Swinging. Her works for stage (librettos for music theatre) have been performed to critical acclaim and full houses at major Australian arts festivals. I have just finished reading Daphne du Maurier’s Rebecca. I’ve seen the Hitchcock film adaptation many times and love it, but somehow hadn’t ever read the original novel. They are substantially different in a crucial respect – in the novel, the complicity of the second Mrs De Winter is far more ethically problematic. Hollywood’s film rules at the time limited the way that Hitchcock could tell the story. When it was first published, it was patronised by publishers and critics of the time as mere ‘women’s writing’, slight and inconsequential, ignoring that it is in fact a brilliant and disturbing psychological study of shifting power dynamics. Highly recommended! Do you have a favourite Library? My beloved Hornsby Library. I grew up in Asquith and as soon as Hornsby Library opened in the early 1970s, my parents would take my brother and me there every Sunday afternoon and we’d stock up on books to consume. I was particularly attracted to the crime and science fiction sections – I can still remember the smell and feel of the yellow-covered Gollancz hardbacks, wrapped in thick clear plastic. Later, I had my first secret assignation with a boy at the library after school. Yes, we were both nerds. More recently, having moved back into the area, I spent a lot of time at the library hidden away in a corner with my laptop and headphones, writing my novel and listening to music – and deliberately avoiding the wi-fi. Libraries are great environments for wrapping yourself in a bubble and concentrating. What’s the strangest thing you’ve ever read about yourself or your work? The tagline on the cover of my novel, The Second Cure is ‘Control the brain and you control the world.’ I read a comment on Facebook from an elderly woman saying she really needed to read it, because her brain was all over the place. I gently pointed out that it’s fiction, not self-help. I hope she reads it anyway! Many people aspire to write novels but the only way to achieve it is to stop thinking about being a writer and focus instead on actually writing. Write as often as you can, even if it’s a sentence or two while you’re waiting for the bus. There is so much distraction around for writers these days, so much advice on creating the ideal workspace, refining your eventual pitch to publishers, networking and building your ‘social media platform’ (hideous expression) and they can absorb too much of your time and energy. Really, what matters is that you actually write. And keep writing. What inspired you to write The Second Cure? I had returned to university to study biology, a field I’d always loved. I was entranced by symbiosis, the relationship between species that can either be exploitative of one (parasitism) or of benefit to both (mutualism). Every species on the planet is in one or more symbiotic relationships, and those relationships can shift over evolutionary time. It struck me that it was a perfect metaphor for both human relationships and political systems. One aspect of parasitism that particularly caught my attention was ‘host behavioural modification’, where a parasite alters the brain function of the host in order to ensure its own reproductive success – an extraordinary evolutionary adaptation. Humans are already subject to brain changes through infection by the cat parasite Toxoplasmosis gondii. In my novel, it mutates to become Toxoplasmosis pestis, and the effects on human behaviour and perception – and thus on human society – are profound. 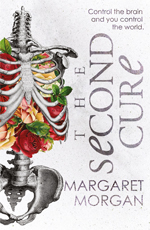 Want to read more about The Second Cure? Dark, thrilling and compulsively readable, The Second Cure is a provocative debut novel about control, courage and belief.